3D technology is getting maturer nowadays. Movie fans would like to create 3D movies from original 2D movies. 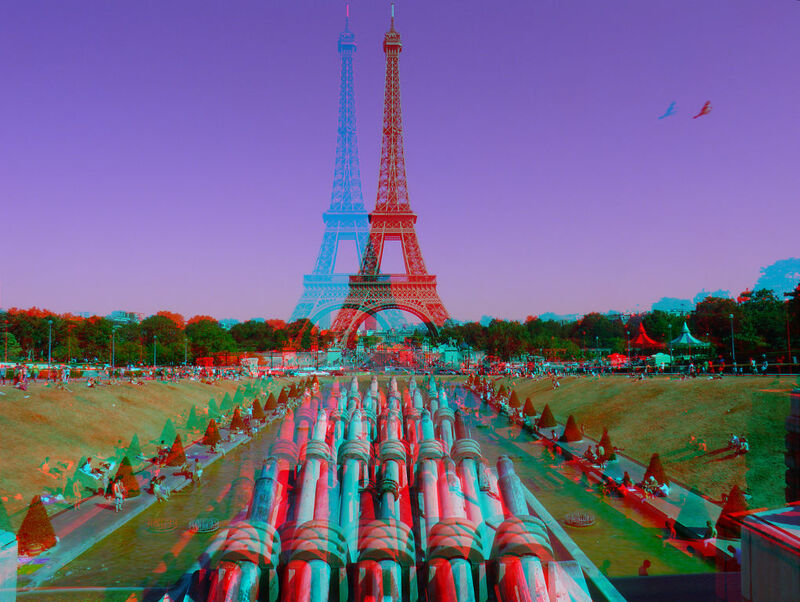 Among many 3D types, anaglyph and side-by-side 3D are two common types. This post takes anaglyph 3D as an example to show 3D movies fans how to convert 2D Blu-ray to MKV in anaglyph 3D. Anaglyph 3D encodes each eye’s image using filters of opposite colors, typically red and cyan. The two differently filtered images ensure different light information hits each eye, tricking your typical perception and causing the foreground to jump out at you. When viewed through the “color-coded” “anaglyph glasses”, each of the two images reaches the eye it’s intended for, revealing an integrated stereoscopic image. The visual cortex of the brain fuses this into perception of a three-dimensional scene or composition. Leawo Blu-ray Ripper not only works as a Blu-ray converting program to rip and convert Blu-ray movies to video and extract audio files off Blu-ray movies for saving in different formats, but also a 3D movie creator that could create 3D movies out of common 2D Blu-ray movies in different 3D effects. Featuring a 2D to 3D converter inside, Leawo Blu-ray Ripper could help you easily convert 2D Blu-ray to MKV 3D videos on your PC in side-by-side or anaglyph 3D effect. The below steps show you how to convert 2D Blu-ray to anaglyph 3D MKV. Step 1: Install Leawo Blu-ray Ripper on your computer and then kick it off. This Blu-ray Ripper runs on Windows Vista and later versions. If you want to convert 2D Blu-ray to 3D MKV anaglyph video on Mac, try Leawo Blu-ray Ripper for Mac. Drag source Blu-ray movies, or click the "Add Blu-ray/DVD" button for loading. You could load desired Blu-ray content by selecting loading mode from Full Movie, Main Movie or Custom Mode. After loading, you’re able to select subtitles and audio tracks. Right click a Blu-ray title on the left processing list panel and then select "Edit" option to get into the video editing panel. Open "3D" tab, switch "3D Mode" button to green, and then select a Red/Cyan (anaglyph) as output 3D effect. 3D Depth is adjustable between -50 and 50. You could get instant preview via the built-in player. Note: If you want to output side by side 3D video, choose Side by Side as 3D mode. To convert Blu-ray to 3D MKV video, you need to set MKV as output format. Click the drop-down box ("MP4 Video" by default) next to the "Add Blu-ray/DVD" button and then select "Change > Format" option to set MKV as output format. For advanced purpose, you could customize the video and audio parameters of output profiles by clicking the same drop-down box and choosing "Edit" option to enter Profile Settings panel. You could change video codec, audio codec, bit rate, aspect ratio, resolution, frame rate, channel, and other parameters. Finally, click the big green "Convert" button, set the "Save to" directoy, and then mouse click the other "Convert" button at the bottom of pop-up side bar. This 2D Blu-ray to 3D MKV video converter would start 2D Blu-ray to 3D MKV video conversion immediately. Note: For common 2D videos to 3D video conversion, turn to Leawo Video Converter. Visual learners may find the text turotial hard to comprehend. Here a video demonstration of usage of Leawo Blu-ray Ripper is presented. Please click it for better understanding how to convert Blu-ray to anaglyph 3D MKV.